Home » Our Thinking » I Stand With Nike. Especially Now. I Stand With Nike. Especially Now. Why do we stand with Nike and Colin Kaepernick? American football fans are like no other studied consumer group. They love their football team. They love America. And they do not like it when someone or something threatens that world order. Enter Nike and Colin Kaepernick. In the last few days, after the new Nike campaign with Colin Kaepernick launched, football fans are in turmoil. As some of you know, Mr. Kaepernick has been ostracized from the royalty ranks of football because of a personal campaign to “take a knee” each time the National Anthem is played, in response to the racial and social injustice in our criminal justice system. His was a silent protest. Until it wasn’t. And other football players began to follow. Many followed. Coaches got angry. Owners got angrier. President Trump tweeted (of course.) Contracts were threatened. And now Mr. Kaepernick stands alone and is no longer playing football. Instead, he is suing the National Football League for collusion to keep him from playing. Most of us have watched this drama unfold from the proverbial sidelines. And then in steps Nike with their new campaign. As many of us know, Nike has a history of taking on controversial players – Think Tiger Woods, Andre Agassi and Charles Barkley. But this is different. This isn’t just about bad behavior. Social and racial injustice is real. The pay gap is real. The epic incarceration rate for people of color is very real. Layer on top of that that our national executive leadership all but supports this, legislating the incarceration of thousands of immigrant children and publicly shaming people of color for standing up for this injustice. Maybe it IS time for brands like Nike to make a difference. Create a movement. If not Congress, if not our judicial system, why not a brand? Shares of Nike fell two percent yesterday. People are burning their Nike socks and posting pictures on Twitter. 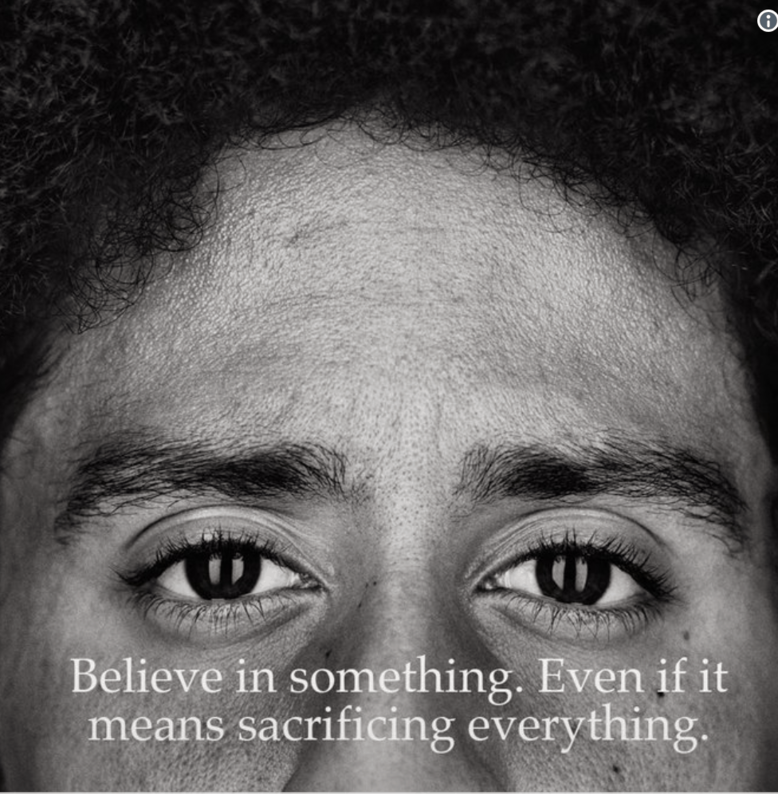 At the same time, Nike generated $42M in media awareness since the campaign launched. Learn more about what we stand for at Proof Strategies, and how we activate clients for change. Mimi’s strengths lie in envisioning, implementing, and measuring the results of integrated communications strategies. While her high standards intimidate the friends of her two teenage daughters, Mimi’s tenacious nature means clients can rest easy. She has a passion for analytics and finding just the right word.